Your eyes are just as unique as your fingerprints. Their unique shape and complex characteristics require an individualized treatment that is customized for you in order to achieve outstanding results. Dr. Ashraf takes this individuality into account by using the Technolas Zyoptix™ HD System for personalized laser vision correction at our Dubai LASIK clinic, to provide patients with drastically-improved vision and a new level of precision and clarity. The Zyoptix HD system maps thousands of data points, which provides Dr. Ashraf with a detailed, 3-D picture of your cornea’s shape and characteristics, enabling him to develop a unique treatment for each eye and resulting truly personalized vision correction. Vision impairments can also affect your LASIK procedure. Small imperfections in the shape of your eye can cause a scattering of light that may contribute to vision impairment. This scattering creates distinct patterns within the eye called aberrations. The innovative design of the Zyoptix HD personalized laser vision correction system allows Dr. Ashraf to measure these aberrations, and craft a treatment plan that exactly matches and treats your unique vision errors. 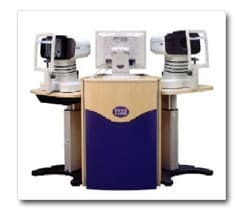 The Zyoptix system has been providing clear and accurate LASIK surgery results since 2000. The new advanced Zyoptix HD system delivers even better results than the previous generation of laser vision correction technologies. In fact, during a U.S. clinical trial, outcomes were so successful that not one patient among those expressing an opinion was dissatisfied with the results.